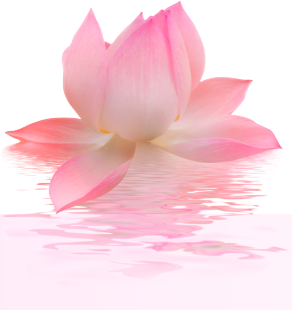 PLEASE NOTE: If you are struggling with Food, Weight and your Body-Image, but are not currently suffering from a clinical eating disorder, please visit www.bodyprema.com, Stella's Food & Body-Image Psycho-Spiritual Coaching practice. 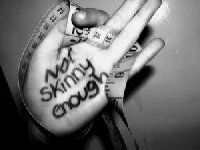 Welcome to the London Eating Disorders Specialist website. Are you overly concerned about your food, weight and body shape and size, to the extent that you rarely stop worrying about them? Is your relationship with food ruling your days and preventing you from living a healthy, balanced and happy life? Do you feel out of control in terms of your eating habits? Do you feel uncomfortable with or ashamed of your body and does this negatively affect your personal and social life, your mood and self-esteem? If you have answered 'yes' to any of the above questions, then you are in the right place. Food and eating play an important, indispensable role in our lives and are normally experienced, since our birth, as a source of love, nourishment, affection and connection. However, due to a combination of several, internal and external factors, our relationship with food and our view and experience of our body can get significantly disturbed and eventually become a source of great physical and emotional distress. Food becomes a way to deal with difficult and painful emotions and situations in our lives, either by eating more than we need to or by restricting our eating / starving ourselves, or through a combination of both; it becomes a coping mechanism, a symptom of deeper problems and difficulties that we do not know how else to handle. Our body turns into a battlefield, and all our issues get translated into and experienced as body deficits and imperfections, leading to feelings of loathing and aversion, and to behaviours of punishment and abuse. Ultimately, our relationship with food and the way we treat our bodies reflect and reveal our relationship with ourselves and accurately mirror the way we live our lives. This is why, in order to make peace with food and our bodies, something more than a diet and an exercise plan -both of which are nevertheless essential parts of treatment- is required. Eating disorders and disordered eating can only be healed when the root of the problem is accessed, addressed, expressed and resolved. Therefore, therapy for these issues needs to respond to all the aspects of the problem and treat the person as a whole, to facilitate personal exploration and self-growth on all levels and, finally, to create the necessary circumstances that allow for the symptom to naturally subside, to not be needed any more. This is the mission of the Eating Disorders Specialist practice. Based on my years of study and training, my professional experience and also my personal journey, I have created an integrative, holistic and comprehensive approach to the therapy of eating and body image issues, bringing together the most potent and effective elements of different schools of talk and body psychotherapy and alternative therapies. I believe that all difficulties that one may experience, food and body issues included, present an opportunity to get to know, accept and understand ourselves on a much deeper level, to develop compassion for ourselves and, by extension, for others, and to make the appropriate changes, in order to live a more balanced, healthy and happy life. Symptoms and challenges are but the stepping stones on our path to wholeness. There is an invaluable teaching in each and every one of them and a renewed, stronger and more authentic sense of self awaits us, when we decide to open up, receive and embody their message. I am here to hold the space for you to explore, discover, heal, transform and create the life that you want and you deserve. I will be deeply honoured to support your journey in any way I can. Professional, holistic treatment of anorexia nervosa. Professional, holistic treatment of bulimia nervosa. 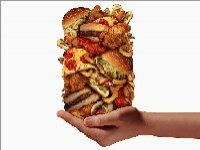 Professional, holistic treatment of binge eating disorder. Professional, holistic treatment of night eating syndrome. Professional, holistic treatment of orthorexia. Professional, holistic treatment of obesity. Psychological support and bariatric surgery counselling.